Annie Bissett is a master print maker, utilizing the ancient Japanese technique moku hanga to illustrate socio-political ideas. 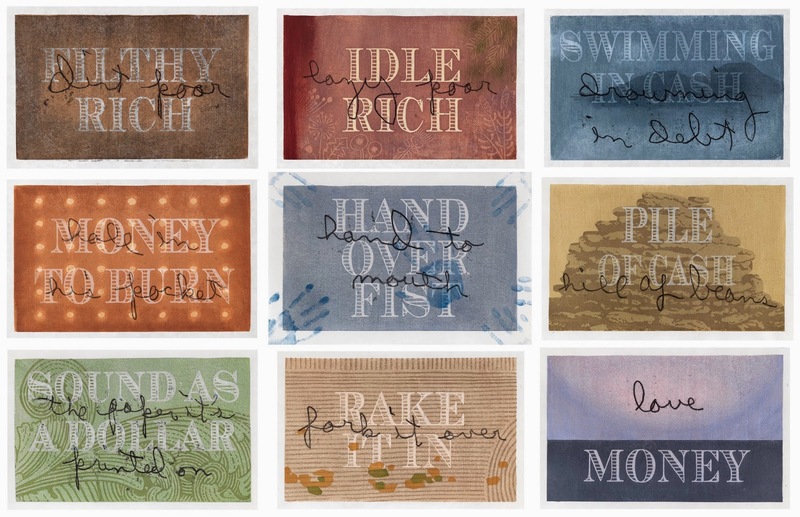 Her writings from her father, superimposed on moneyed symbols prints were in the last Amherst Biennial. This series was selected from over 700 applications to be featured in the International Print Biennial in Newcastle, Great Britain. You saw this first at the Amherst Biennial '12 at Hope & Feathers Gallery, Amherst, MA.